One of the biggest lotteries to have come out of France is the appropriately named France Loto. It might not be the most popular lottery in the world, but there’s a lot to like here. It’s a simple lottery that’s great for beginners and veterans alike. Even better, the odds offered by the lottery are some of the better ones out there. If you’re a lotto lover, you’ll definitely dig what France Loto has on tap. Curious? Join me as I take a deeper look! 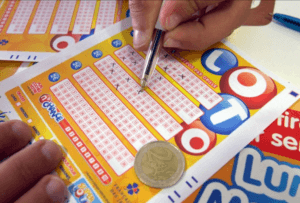 France Loto is one of the longest running lotteries in the industry, having established all the way back in 1976. 72% of the lottery game is owned by the French government, while it is operated by the Française des Jeux, one of the country’s biggest lottery operators. Drawings are held thrice a week—every Monday, Wednesday and Saturday evenings. Jackpots Roll Over: France Loto jackpots can rollover as many as 34 times. Tri-Weekly Lottery: Drawings are held every Monday, Wednesday and Saturday evenings, giving you three chances to win every week. Minimum Jackpot: France Loto jackpots start at a guaranteed minimum of €2.6 million. Tax-Free: All prizes are 100% tax-free. Lump Sum Only: Winnings at France Loto are paid out as a lump sum only—don’t expect an annuity option here. 10 Prize Tiers: Players have as much as 10 chances to win per draw—where the minimum requirement to win is by matching only the bonus number. How Does France Loto Work? One of the best qualities of France Loto is its simplicity. The game mechanics are as straightforward as they can be—even newcomers will appreciate it. To play, you simply pick five numbers from a pool of 1 to 49, plus an additional Chance number from a range of 1 to 10. To win the jackpot, you must match all 6 of your chosen numbers. Simple, right? It gets better. Like other lotteries, you don’t have to match all 6 of your numbers to win. You can match just 5 of your numbers, or just 4 + the chance number, and so on. Unlike other lotteries, you can even win by just matching the Chance number! In total, you have the chance to win in 10 prize tiers. France Loto, as I’ve mentioned earlier, is a rollover lottery—which means that jackpots carry over to the next drawing if no one wins in the current one. Even better, rollovers can occur up to 34 times—each time growing at least €1 million per draw—and if no one still wins during the final rollover period, the prizes are simply distributed to the winners of the next tier in the prize ladder. In other words, you can win big—even if you don’t necessarily match all 6 of your numbers. All prizes won at France Loto are 100% tax-free—that is, of course, unless you live in another country or used a third-party lottery agent service to purchase your tickets. In such cases, you’d have to refer to your local tax laws or the rules of the lottery agent you used. Other than that, you can enjoy as much of your winnings as possible. Another thing worth noting is that all France Loto winnings are paid out as a lump sum. That is, you can’t opt to be paid in yearly installments like some lotteries do. Combine this with a purely tax-free payout system and you’re looking at huge prizes, compared to other lotteries, to take home. Finally, winners have a total of 60 days to come forward and claim their prizes. That is, if you purchased a physical ticket in France. If you purchased tickets online, most lottery agent services will help you with the prize claiming process. One very lucky France Loto player from Montpellier won the jackpot twice! His first time was in 1996 when he bagged the €2.8 million jackpot. While others would have called it a day, the man kept playing the same winning numbers—which he had been religiously playing since 1976. AS lady luck would have it, he won yet another France Loto jackpot in 2011. This time, he won €3 million. France Loto also holds a raffle where ten prizes worth €20,000 are awarded during each draw. More interestingly, every player of France Loto is automatically entered into each draw. As for the odds of winning? It depends entirely on the number of participants. The tri-weekly draws mean that rollovers could, theoretically, grow faster compared to other lotteries. France Loto funds are used for sports and/or sports related charity programs. Why not try your luck at France Loto? France Loto may not be as big or as lucrative as lotteries like Euromillions, but its offerings are still quite impressive. It’s an easy to learn rollover lottery that offers pretty good odds. The tri-weekly structure also means that not only do you have three chances to win each week, rollovers can potentially grow faster because of it. Other features are hard to ignore as well: you get 10 chances to win per draw; all prizes are tax-free; and payouts are made in lump sum forms. All in all, France Loto has definitely earned its place in the industry.